When I had my first blog on the Book of Proverbs, I used to like to find a word in the verse for which I'd dig up the dictionary definition to see if there was something a bit deeper there. 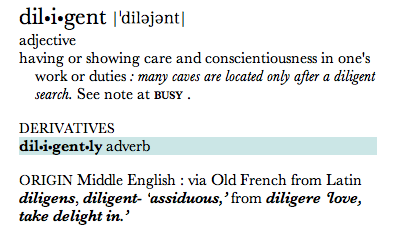 Most of us are familiar with the words used to define diligent - care and conscientiousness in one's work or duties. So caution, prudence, good judgement are at the root of being diligent. However, if you look at the entire definition and go all the way to the bottom, the French and Latin origin says: love, take delight in. 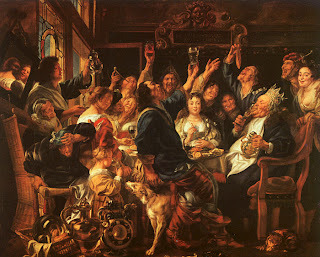 In the first part of the verse, it is revealed to us that you will be dining with not just anyone, but a prince. A prince. Yes, you want to be on your best behavior in the presence of a prince. Use your napkin, don't speak with your mouth full, but you should love the moment. Delight in the experience. That is how we should feel in the presence of the LORD - the prince of peace. When we come to His banquet, love the moment. Delight in His presence. You would not be at the banquet unless you were invited. And by the sheer fact that you were invited, it means you are worthy of the feast. Yes, you don't want to wipe your mouth with your sleeve or stuff your face full of food until your belly is ready to bust; but enjoy the fact that you are at the feast. Love it. You are worthy.